” Very professional and awesome service took in all our ideas and gave us exactly what we wanted. 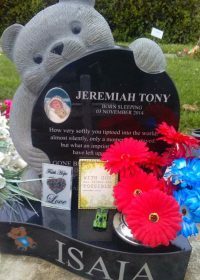 Very affordable and would recommend to anyone needing a special memorial Headstone for their loved ones. ” Hi Sammi & team. 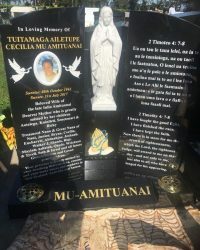 Sanctuary in East Tamaki did a very beautiful headstone for our late grandma last Nov and shipped it to the Islands, we the family were very happy with your talented work. ” Thank you to all the team (Leonard, Cindy, Samantha, Lupe) at Sanctuary Memorials. 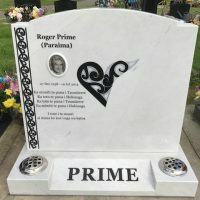 We are absolutely stoked with the white headstone you did for our Dad. The maori design looks amazing. We are grateful to have worked with you all, to honour our Dad in an everlasting monumental way. ” From day one Sammi, Jerome, Leonard and the team were awesome and so accommodating. We wanted a special headstone custom made to express the life and love of our beloved Father. 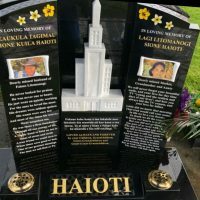 No problem for Sanctuary Memorials from taking our design, sourcing the best stone and advising us on how to keep it elegant. 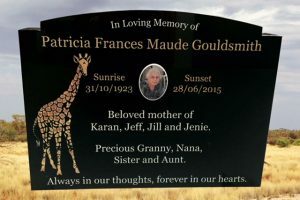 If you’re looking for more than a great headstone with exceptional before and after-care service, genuine loving people then you will find that here. Saturday went very well. We just want to say THANK YOU. 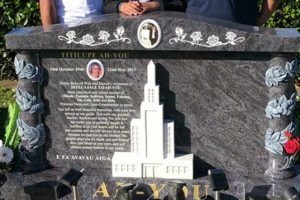 Isla’s headstone looked amazing, our families & friends were also very impressed with how beautiful her headstone looked. 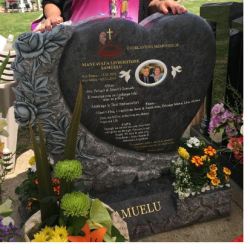 On behalf of our family we would like to express to you and all your workers who put in their amazing time and talents to make our son’s headstone so amazing and so beautiful. No words could express our joy of the awesome job you all have done for us. Thank you for all of your support, patience, compassion and for bringing to life our vision. 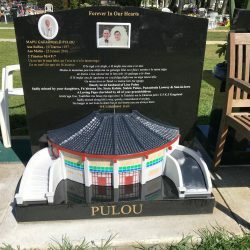 ‘We just want to thank the team at Sanctuary Memorials for providing us with a truly unique and beautiful headstone. We also want to thank you all for your understanding with what we wanted and your patience to accommodate our many changes. Our grandmother’s headstone is truly magnificent, and her photo is beautiful. At the unveiling there were a lot of tears of joy and awe when the stone was revealed. 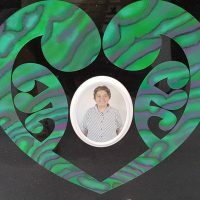 Many family members commented on how beautiful the stone was and how the paua colour effect was one of a kind. To top it off we were able to purchase badges which were also outstanding quality for such a small price and a great alternative to t-shirts. 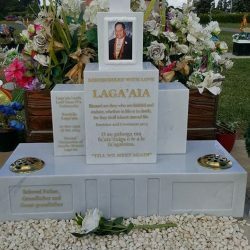 ” I heard about Sanctuary Memorials thru word of mouth, & went there with no expectations, however, on our very first meeting with Leonard, I was instantly put at ease. 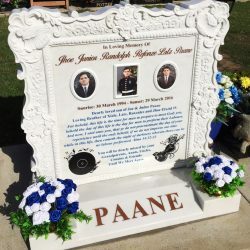 We liked the look of the headstones there, & also the fact that they could custom make headstones to suit individuals – so chose to use their services. Communication lines were kept open, I was updated & consulted all the way thru. Weekend meeting requests at short notice were always adhered too, & nothing was every too much for them – they accommodated changes, & even a very last minute addition (the week of the unveiling) was completed, without hesitation, the timeline of everything, from ordering the stone, to sending thru the final proof – was well communicated, and met deadlines. Leonard, Sammi & all the team were fabulous, and I was more than happy with the end result. Their impeccable Customer Service, their ability to listen to all our ideas, they exceeded our expectations, & they turned our vision into an incredible tribute for our late brother. 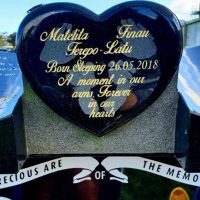 ” From the bottom of our hearts we would like to thank you Sammi and your team for putting together something so special for our late Grandfather and Mother. Words cannot describe how grateful we are as a family for the master piece you have constructed to be able to have a Father and Daughter both on one stone. We are so overwhelmed with love for the great service you have provided. So easy to talk to, gave us everything we were wanting within our budget, very informative, was able to make changes even up to the last 4 days before the unveiling. May Gods’ blessings always be upon your business now and forever more. ” On behalf of my mother, sisters and I. We would like to send our thank you and gratitude in regards to our father’s headstone. During this time it has been very emotional and somewhat difficult however we’re overcome with joy and satisfaction with Dad’s headstone now that it is complete. Thank you for your patience and time to hear our concerns Samantha. We know that you did everything to help our request and we are very grateful for keeping me in the loop regarding the reconstruction of the church – so thank you. Please extend our gratitude to your team as well. We know that it wasn’t the easiest church to make and we are so thrilled with how it looks now. 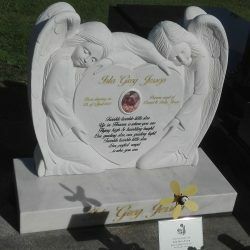 With our hearts content and filled with joy knowing that dad’s stone is fully complete we cannot thank you all enough. Wishing you all a Happy Christmas spending quality time with family and a prosperous New Year. Apologies for the delayed message. We would like to say a huge thank you in all the hard work, love, and dedication that was put into our fathers headstone. Its beautiful and we could not have done this without the labour of love put in by your great team! From the moment we met, we knew we had come to the right place, guided to the right people and blessed to have met you all along our journey. The process was easy and smooth sailing, and we cant thank you enough for the outstanding service. We miss popping in every so often lol. We hope this year has started off with a great bang. Words cannot express our utmost gratitude, the final result of my Dads headstone is absolutely outstanding. I have opened your email at work with tears streaming down my face, with everything I have Bless you all and a huge thank you once again. Please respond where I am able to highlight my impressions of dealing with Sanctuary Memorials please.